With elections less than a week away, all the political parties are promoting their parties aggressively. 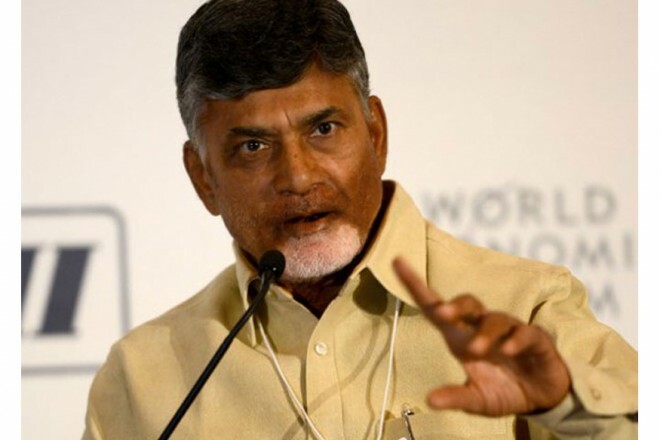 However, recently TDP chief and AP CM Nara Chandra Babu Naidu seemed upset by the fact there were not many people at the site of his protest against IT raids on houses of TDP leaders. He spoke to media briefly and made sensational comments on IT raids. Chandrababu Naidu appeared to give a call to TDP cadre to create trouble and vitiate the smooth election process. Chandrababu insisted party men to keep up protests till the day of polling. However, insisting party members to take up protests giving up campaigning, is leading to suspicions on Chandrababu's game plan. How the Central Election Commission responds to Chandrababu's remarks remains to be seen.On the whole, Chandrababu's controversial comments took many people by surprise.